Make this item part of a bundle to save! 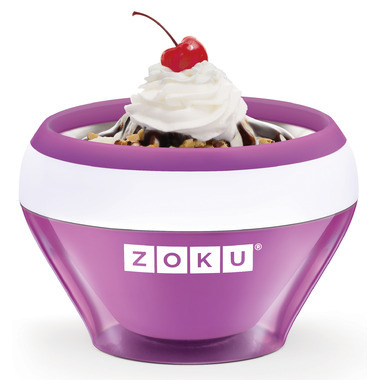 Make ice cream fast with the Zoku Ice Cream Maker! 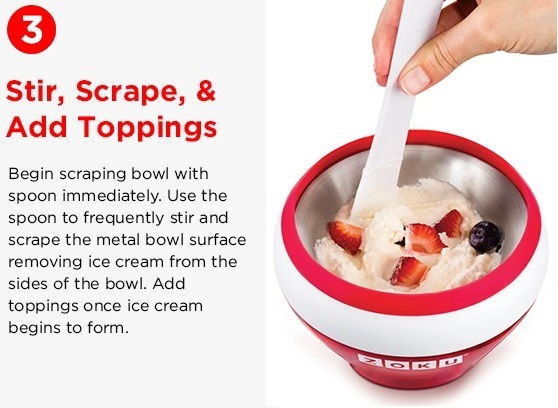 This high-performance ice cream maker will make decadent ice cream, custard, frozen yogurt, gelato, sorbet and sherbet. Make individual portions of these delicious frozen treats on any countertop, in as little as 10 minutes. Make classic ice cream flavors like vanilla bean, mint chocolate chip, fresh strawberry or dark fudge—or create your own flavors. Top your creation with fresh fruit, candy pieces, brownie chunks, or a classic bright red cherry on top. 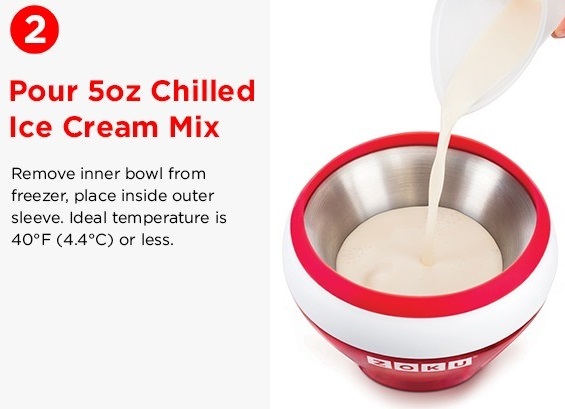 The Ice Cream Maker is designed to store easily in your freezer. 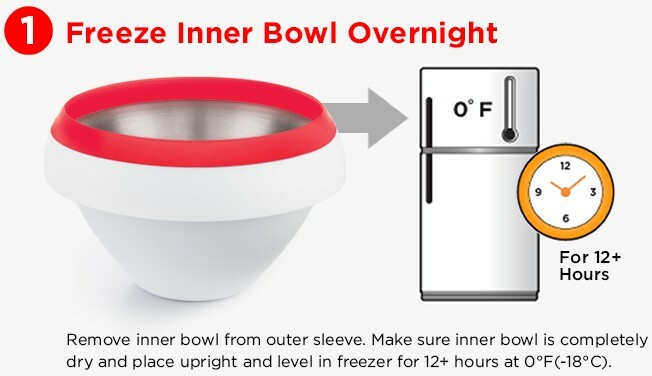 To use, remove the frozen bowl from the freezer and place it into the protective sleeve, pour in your ice cream mixture, churn and scrape the stainless steel bowl with the included spoon, and watch as the ice cream freezes in minutes before your eyes. 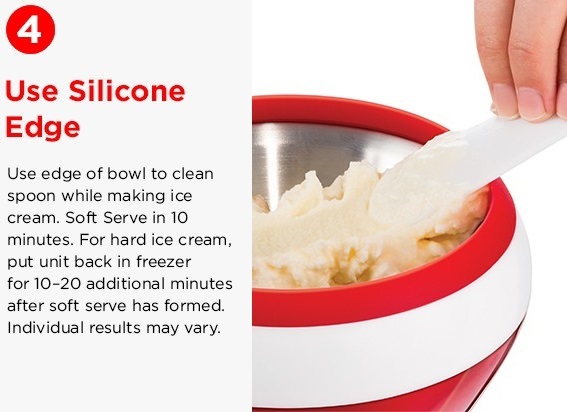 Homemade ice cream has never been so easy!